This assignment is giving you practice in matching business needs to data-technology solutions and being able to communicate that. You could imagine you are a big data consultant who has been asked to give a presentation to a group of organisations who are considering whether to invest in big data. Assume that the audience know little about IoT (Internet of Things) or big data. 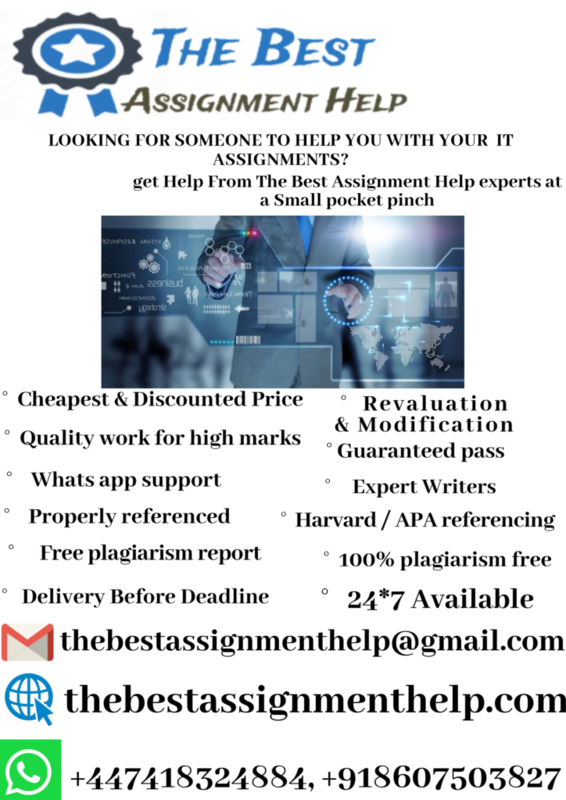 However, the assignment is not just a sales pitch – you have to demonstrate that you know what you are talking about, back up your arguments with evidence, communicate new concepts and demonstrate to the audience that you have an understanding of how IoT is used in businesses enough to recommend a specific technology. Start with gaining an understanding of IoT data including examples how it has been used in organisations for their benefit. You can refer to these examples in your assignment. A good starting point is the Harvard Business Review’s article referred to in the ‘Big Data Fundamental’s presentation (week 1). Technology could be related to any aspect of managing or using big data such as storage, transmission, transformation, encryption, analysis, visualisation, security, self-service, etc. Use this assignment as an opportunity to find out more about a technology you’re interested in. The technology shouldn’t relate to creating big data. Don’t focus on a specific tool or vendor – it will be more useful in your profession if you are knowledgeable of a range of tools from different vendors. Some data science technologies will be better suited for managing or exploiting IoT data than others. You should be able to explain the benefit of the technology to business. So some technologies may primarily benefit the data scientist (eg: Notebooks in Gartner’s ‘Hype Cycle for Data Science and Machine Learning’), but have less obvious value to the business. A key aspect of successful big data implementation is making the value known. The priority matrix and business impact sections in the Gartner’s Hype Cycle will help.